In 1891, a quiet revolution began when a Croatian-born police official called Juan Vucetich started collecting a unique ID for Argentinian criminals: their fingerprints. As we now know this part of the body is completely unique to each person and can be used to identify them. With Vucetich’s insight, the field of biometrics was born and we have now seen the finger and iris become huge areas of focus for designers of secure access to systems of all kinds. But for some reason, our most individual feature – our voice – has only recently started to be used too. The great news is that computers can now ‘hear,’ store and recognise our speech – a breakthrough that has huge implications in all sorts of areas including banking. This is because a voice-driven system uses a sample of a customer voice (a ‘voiceprint’) and then links it securely in code with their specific records. That means that every time the customer contacts the bank by phone, they can choose to skip the tedious ID process and be verified in seconds by voice alone, simplifying their life but also doing away with the need for banks to work with PINs and two-factor authentication approaches to security. Who wouldn’t welcome the end of the PIN or memorable word? Sounds fantastic… and it is, when it works. The reality is that we’ve struggled to go beyond the initial hype and pilot stage to more widespread take-up in global financial services systems of voice biometrics. But that’s changing now, with systems in place at Tatra banka, Banco Santander, Barclays and more recently HSBC. Is that the right word to use? Fooling a voiceprint system is much, much more difficult than ripping off passwords, a personal identification number or physical documents. 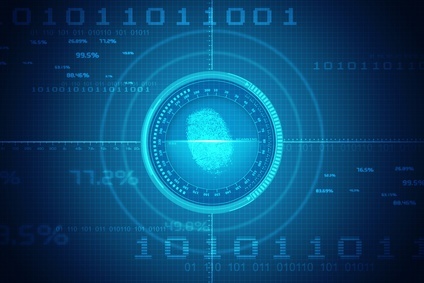 More use of biometrics would radically simplify the security end of system use and as we become more of a digital economy it’s hard to see how users can be expected to remember more non-biometric ways of accessing services, after all. From the customer contact centre or service desk point of view, stripping out the verification step and establishing immediate, solid customer identification would allow a lot more time to help other users. And for both parties, voice could be a huge boon in the fight against fraud and identity theft, saving millions all round. No matter how good you are at impressions, no one can replicate someone else’s voice to the level of matching their individual voiceprint. A voiceprint lasts for life. After adolescence, it doesn’t change over time and is yours for life – which means no need for endless re-recordings. Given all this, and when you add industry-standard compliance systems like PCI-DSS to voice, which is the case with the best systems on the market now, then you have a compelling security option the vast majority of customers will instantly welcome. An example of voice biometrics in successful practice is Slovakia’s Tatra banka (member of Raiffeisen). First introduced in 2013, it now has 250,000-plus registered customer voice samples – no less than a third of the whole customer roster. Have the promised timesavings materialised? The answer is absolutely yes – as average client identification now takes 27 seconds per visit, a reduction of over half the time, 66 per cent of what it took previously. In fact, 85 per cent of all calls to the bank’s contact centre now go through voiceprint verification. It’s also saving costs – fewer operators required to provide the same level of service – which lets the team do more value-added work, like sales. And last but not least, voice boosted its important Net Promoter score by 62 per cent inside just three months. It’s important to note that voice recognition is not only used in retail banking like this, but in a growing number of financial services applications, from topping up prepaid mobile phone cards, validating Web transactions, even for authenticating mobile phone applications containing sensitive personal or corporate data. The reality is that where there’s a financial operation or transaction that needs to be done either quickly or unexpectedly, voice biometrics, which isn’t limited to one device like an ATM or phone banking, can be a great security standby. So what do we ‘hear’ when we say ‘voice’ in biometric security? Convenience, usability, accessibility, functionality and most of all security. These are the reasons banks like yours could do a lot worse than join the biometrics revolution that Juan started back in 1891.